A very quick post for today, as I am late, late, late (does not help that there's traffic jams everywhere due to roadblocks today). Been a while since I have been cooking as I've been busy with work. A certain person recently did his medical check up and was told by his doctor, he better start cutting back on fatty foods and etc, hence we are "trying" to eat more healthier food. 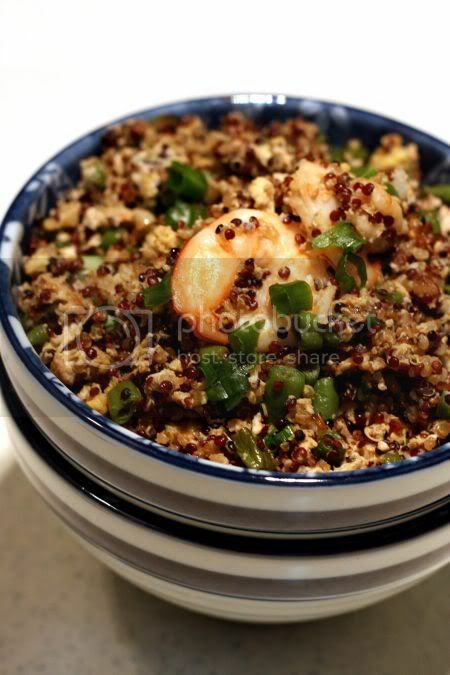 While this concoction of mine (based on the Flavours magazine) is not super healthy with the frying element and prawns, it was a relative change from eating rice by switching it to the super healthy grain aka quinoa. I probably should have left it longer to sprout, as it will get even healthier but due to bad planning, we had only decided to cook at the last minute. If you want to get a supply of the healthy grain, head towards Country Farm Organics which seems to be the only place I can source for these. They have various colours (this one is the multi-coloured one hence the red quinoa in the bowl) but sometimes stocks are limited. I tweaked the original recipe a little - I fried the prawn shells in olive oil to infuse it with more flavour and instead of peas, I used chopped long beans as someone is allergic to peas. Tastewise, it was good and I liked how it filled us up without us feeling bloated. 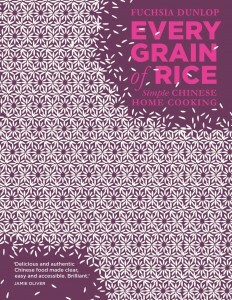 Now, I can't wait to try the other recipes like the quinoa salad or a tabbouleh. If you want to recreate my version, here's a rough recipe. To make quinoa: Place quinoa and stock in a pot, bring to a boil. Lower heat, cover the lid and simmer for about 20 minutes or all water has been absorbed. The grains are supposed to look transculent but because mine are coloured, I just stopped once the water was absorbed. Set aside to cool. It is better if you leave it overnight and use it the other day. To make fried rice: In a wok, fry the shells in the olive oil until fragrant. Discard shells reserving the oil. Fry long beans until cooked and slightly brown. Remove and set aside. 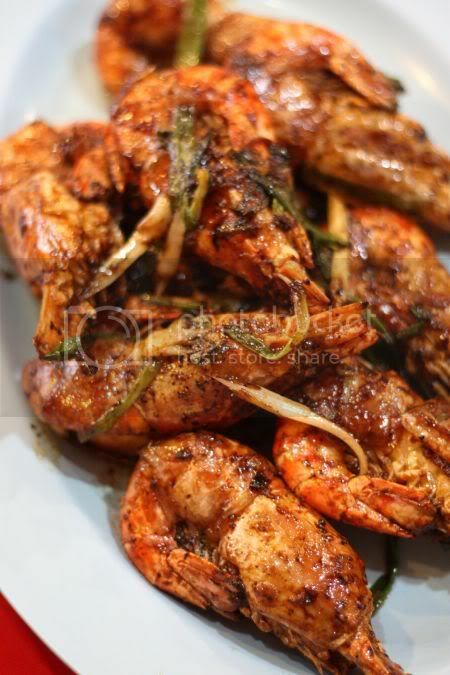 Fry the garlic, and cook the prawns. Add the quinoa and mix. Make a hole in the middle and crack the eggs in the centre and scramble to coat quinoa. Add back the cooked long beans to mix and sprinkle with soy sauce, tasting as you add it to adjust to your taste. Dish out and garnish with chopped spring onions. Ever been faced with the dilemma of having too many great pictures? For the recent Penang trip. I managed to capture such great scenes and food (of course) that editing and choosing which ones to publish in the blog, took so much time. Every shot seemed to deserve the limelight - like the first one, a very unexpected shot of Hairy Berry and this old uncle in an amazing char kuey teow stall, we were taken to. The old uncle's face was etched with deep lines and he carried himself with a quiet dignity to him, not blinking or even smiling when he took pictures of him. 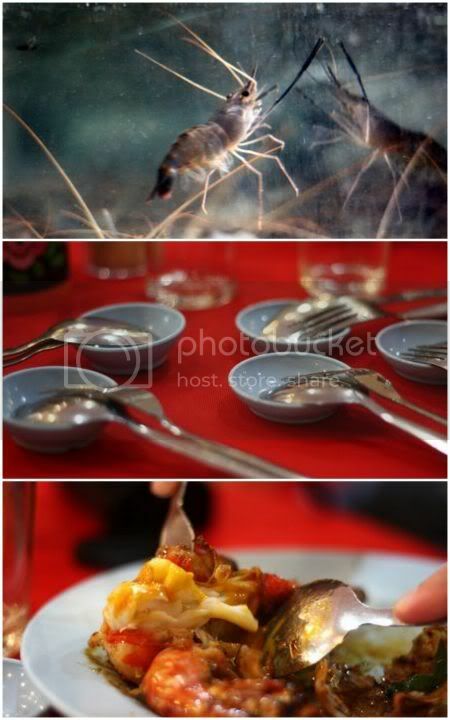 Back to the food, that remains a wistful memory to the tongue and tummy now. Our unofficial tour guide aka the Le Cordon Bleu chef brought us to this small unassuming corner shop flanked by coffin shops along Lebuh Carnavon. 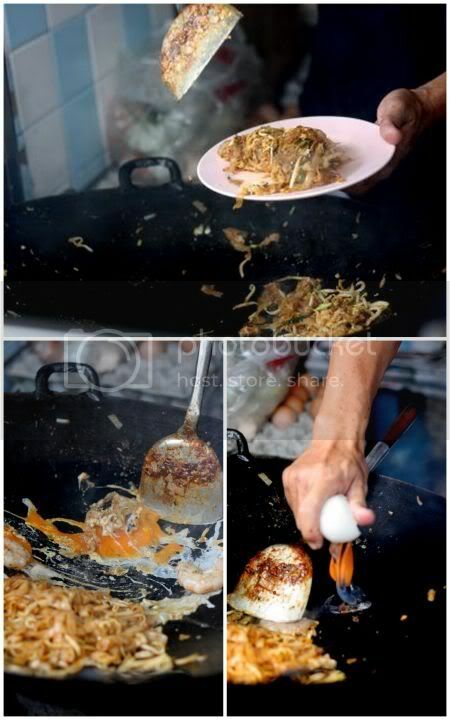 Here we discovered char kuey teow, the way we like it - fried dry with loads of wok hei, juicy prawns and duck egg. Like many stalls in Penang, this one is now run by the third generation and luckily for us, relatively unknown but still very much a gem to be cherished. Other goodies we discovered here were the koay teow th'ng served with duck meat (just like the locals like it but oh so difficult! to get in the Klang Valley). 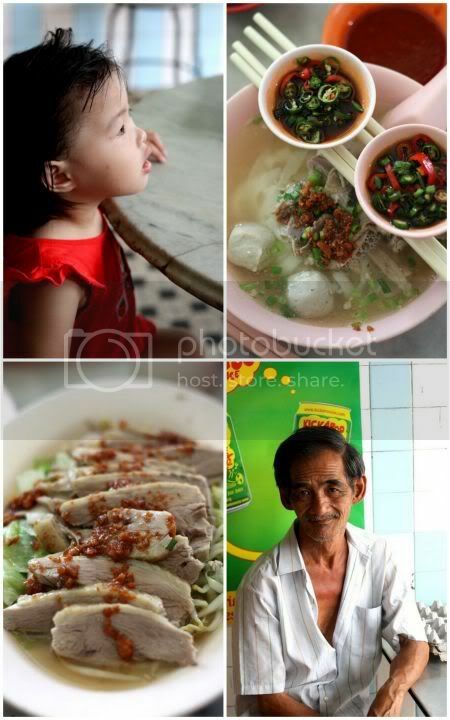 I loved the simple yet tummy-satisfying kuey teow soup with strips of duck meat and a side order of tender melt-in-the-mouth duck breast meat. The lorbak is also delicious - fritters stuffed with various items including chopped squid and meat that are super crunchy and freshly fried. The fritters are so good, we finish chomping down the crunchy delights quickly while dipping it in the thickish brown sauce. Not only is the food great here, it is also an excellent place for pictures with its old style wooden booths, black and white tiled floors, stainless steel chairs and the people dining here. More pictures can be found in the Flickr set. 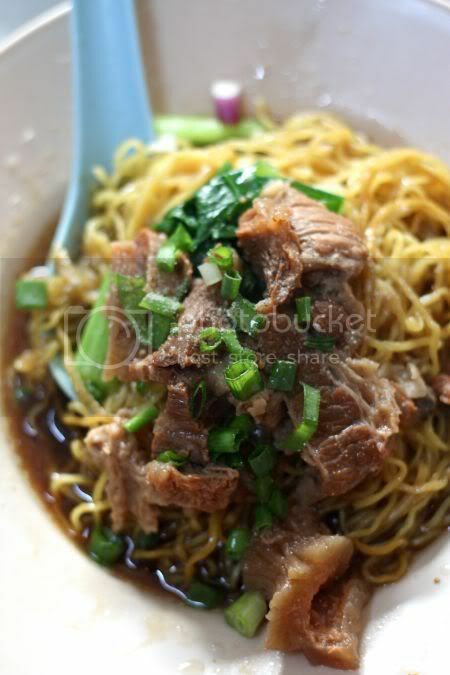 Weirdly enough, one of the items we ate quite often were wantan noodles. It is weird, since Penang is mainly Hokkiens, but there seems to be quite a group of Cantonese making their noodles here like this old-school place around Chulia Street. Peppered with budget hotels and hostels, Chulia Street definitely has its fair share of tourists - I kept spotting people with large DSLRs traipsing down the streets. 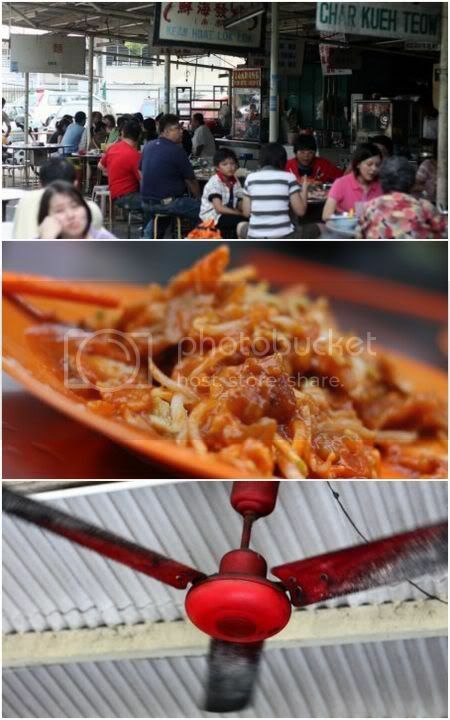 This particular stall is often a popular hangout with foreigners who have discover this small place after thumbing through the Lonely Planet guide. 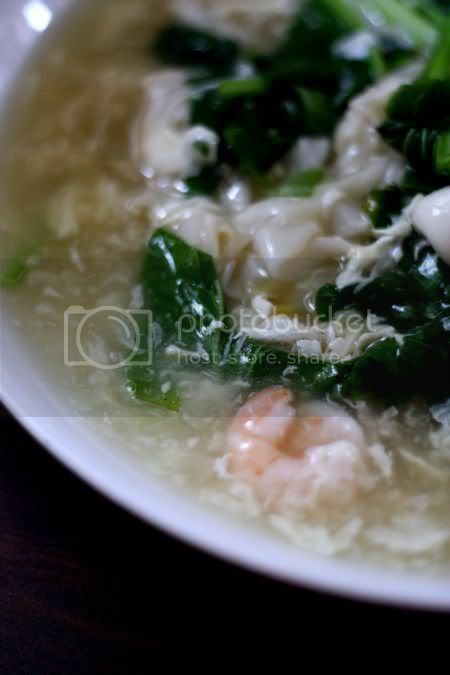 Another old style place, this place is well known for its springy noodles and of course, its long history. Seems the stall started out as those mobile vendors popular in the olden days where they will move from house to house with a bamboo stick. 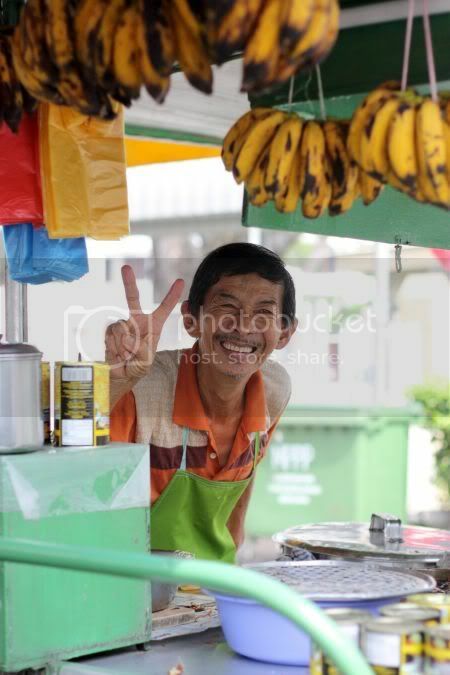 Known as "tock tock mee" sellers, the original stall owner would tap on the bamboo with a stick to announce what they were selling to others. 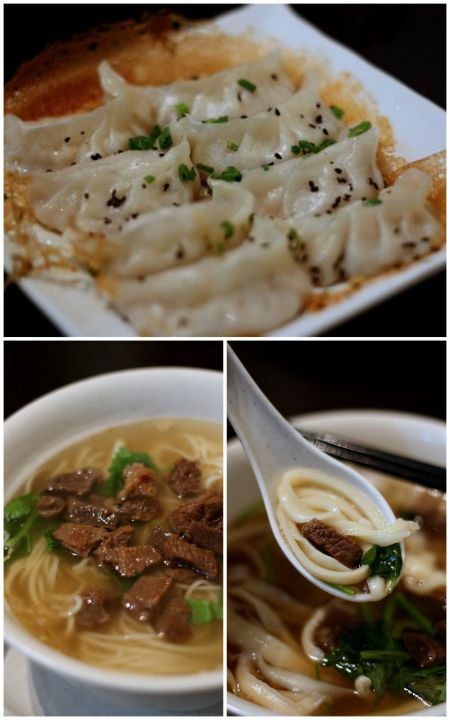 Now run by the third generation, this Cantonese family sells springy wantan noodles with either beef tendons or the typical char siu and wantan toppings. While I didn't care much about the red tinged char siu slices (old fashioned but not so great compared to the sticky dark ones we are more accustomed to), I love the springy noodles and the tightly bound wantans. 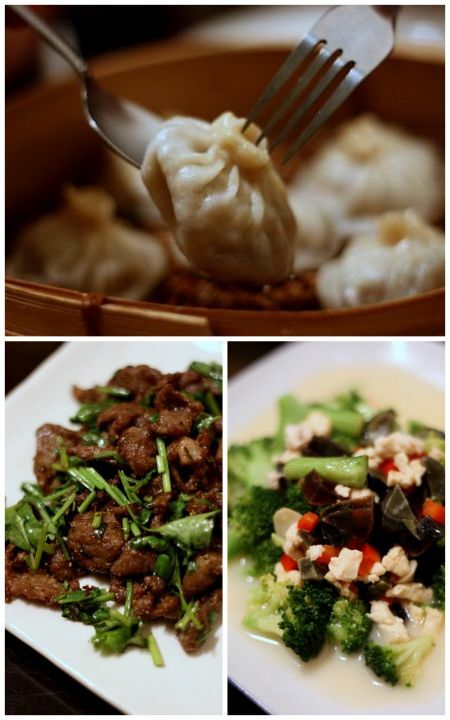 Made only from minced pork, these were delish with a silky smooth skin surrounding the juicy goodness. 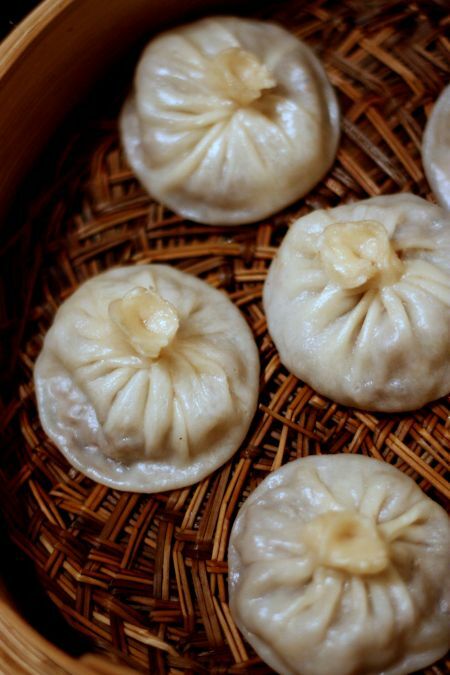 Best of all, you could see how they made the wantans - full of concentration with a single chopstick to help bind the wantan sheet tightly over the mound of minced pork. For more, read Lots of Cravings blog post on this place. Ever wondered how time goes by so quickly??? I often do, as the day zips by and next thing I know, it is night-time and I'm staring at my very small notebook screen wondering why I didn't manage to organise my time better to blog more often. The weekend seemed to dissapear in a blink probably because I worked on Saturday and cramped all my errands on Sunday. We did manage to squeeze some time to catch this Lebanese outlet in Pavilion and did a walkaround the Curve and Cathay Cineleisure. It's shocking how many places has closed down there - saw the casualties like Empire Cafe, Nanxiang Mantou Dian, Hollys Coffee and etc. 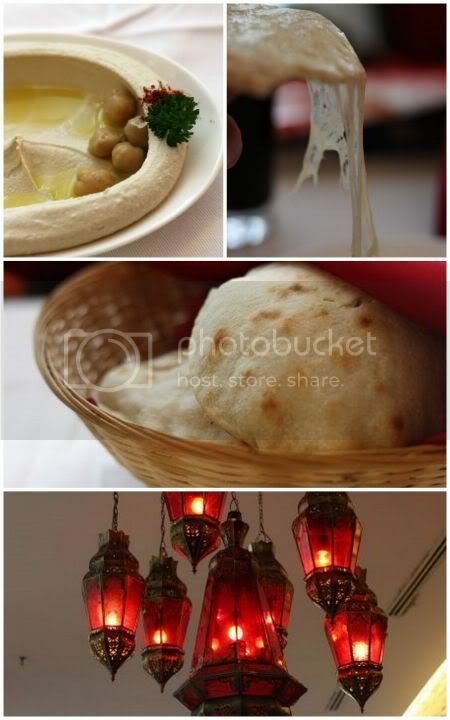 Back to the Lebanese food, a tiny break from the Penang posts (I still have a few more, even though I've cramped them into categories, so bear with me on those faraway but very memorable posts I need to complete). I've been eyeing this place for a very long time - ever since I read a pretty good review in the Edge (one of my regular weekly reads to keep in touch with the financial world). I also heard they're one of the few places in town that offers tartare. While I was eager to give that a try, Splashie Boy said a firm no, when I mentioned the words, "raw meat"! Instead, we settled on a mix of old favourites and new items. Top on the list was hummus (RM16), that creamy chickpea-garlic-olive-oil-lemon-juice concoction I love with hot and fluffy breads served on the side. Tastewise, if you had to compare with Tajine, the other place we recently ate, there's not much difference in the taste but this version was more creamier and smoother at double the price we paid in Tajine. I guess that is why, we had more breads (4 pieces) here versus the measly one bread we got in Tajine. 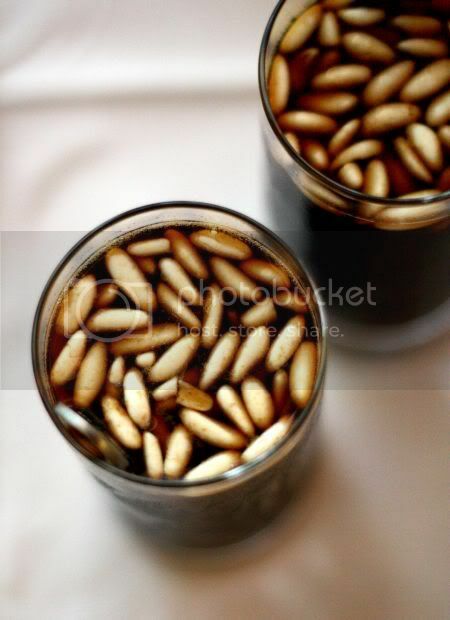 Refreshments were in the form of the unusual Jallab (RM12) - date juice that was a little sweet but chockfull with pine nuts and raisins sunk to the bottom, which I discovered like hidden treasure. I also ordered the unusual cheese mankouche (RM14), a Lebanese delicacy that looked like a cheese pizza, which we felt lacked taste and oomph. Maybe we should have ordered the other varieties of thyme and meat instead. 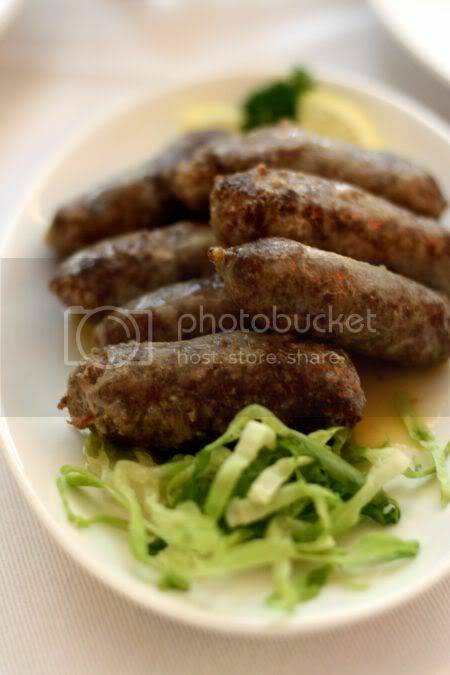 However, we struck gold with the Makanek - marinated lamb sausages with Lebanese spices (RM22). Juicy with just the right mix of meat and fat, I loved the tangy taste of the sausages from the marinade that I even ate the shredded cabbage on the side dipped with the sauce. Last but not least, was the chicken kabsa (RM38), which we both shared. 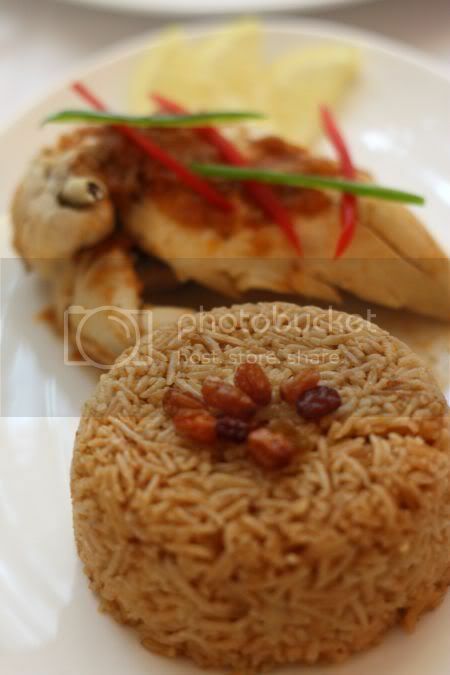 I liked the fluffy aromatic tomato rice and the steamed juicy chicken slathered with the tomato sauce given on the side. Overall, food here is pretty good but prices are on the higher side, especially since it is Pavilion with a plusher atmosphere versus the othertackier looking Middle Eastern joints in town. Service is impeccable too and they also have a nice balcony, you can sit down and drink your sorrows away while looking down on the ever-present traffic at Jalan Bukit Bintang. For more pictures, see my Flickr set. Luscious Temptations, who ate here when she was back from London. Journeys always seem to go faster especially when you know there's something fantastic down the line such as the ultimate freshwater prawns dinner at the infamous Tanjung Tualang. When we all piled into the car in Shah Alam, some tummies were growling already, in anticipation for the ultimate feast of 6 large freshwater prawns per person, cooked in 3 different ways. We got a little lost taking the more scenic route to the Tanjung Tualang but we did get to drop by the famous landmark, Kellie's Castle, snapping pictures of the half completed "castle". Once we reached the small town of Tualang, locating the restaurant among the many others (some looked so commercial and big) took a little time but eventually we got to the small unassuming restaurant. Having taken Precious Pea's advice, I had called in advance to book all our prawns making sure, we had a ready supply. 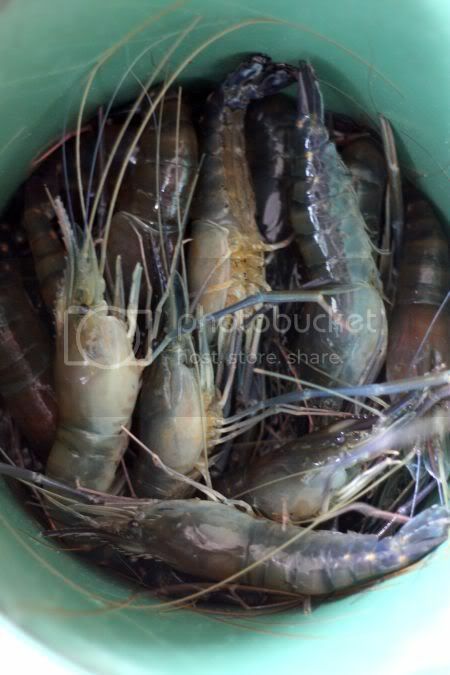 Straightway, our prawns were plucked from the water tanks that front the restaurant and sent to the kitchen. 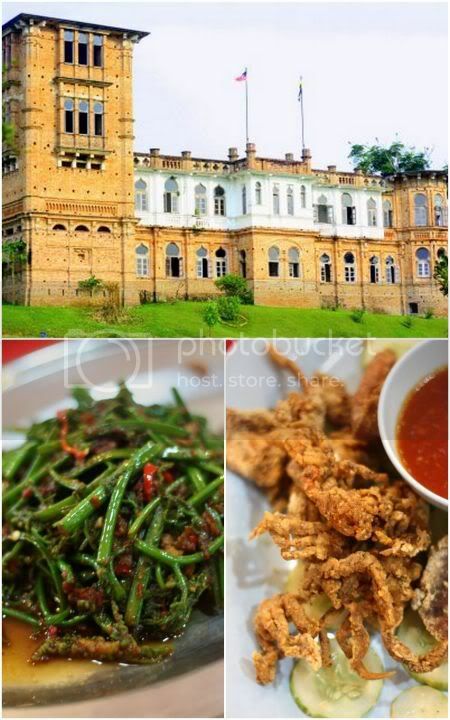 Within a few minutes, the kitchen started churning out the dishes - the crunchy and not too spicy paku pakis with sambal and the deep fried soft shell crabs. 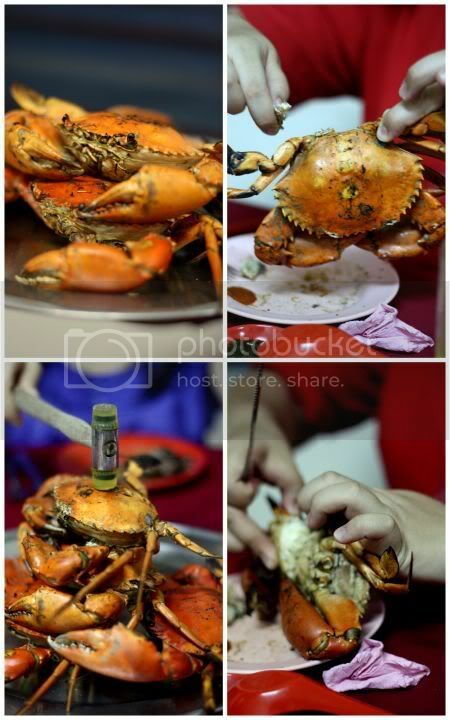 Unlike the flour battered version, these crabs had a coating similar to what you get with KFC chicken. Nevertheless it was still yummy stuff (gone in 60 seconds I reckon) especially dipped in a sweetish chilli sauce. Our prawns quickly came after we polished off the first dishes. The first and we all reckon (the best one ever) is the kon cheen version - dry fried with just soy sauce and spring onions. Super finger licking good, you have to take time to slowly lick the large shells coated with the delish sauce. The prawns were so bouncy and fresh with loads of creamy roe - eating each one is sinfully good. Not wanting to waste the sauce, we ordered a bowl of rice to mix it with the sauce. 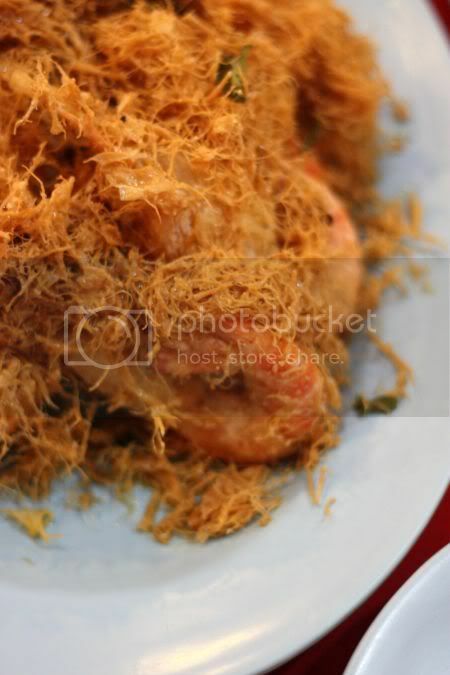 Next it was the butter prawns, which came topped with a mountain of shredded egg floss. "It's not shredded coconut," the lady boss warns us when the dish hits our table. 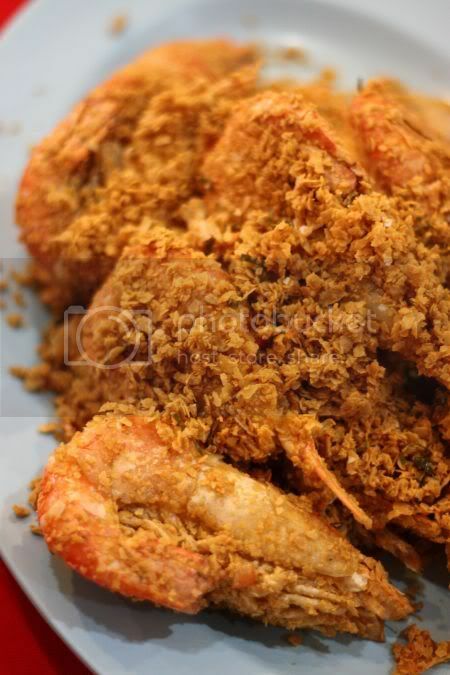 Super yummy, the prawns are fried till you can crunch and swallow the shells. The super fine egg floss with curry leaves is delicious eaten on its own. Equally good but (definitely not healthy), were the deep fried oat prawns. While all of us are usually more used to the healthier oats we eat for breakfast, this crunchy version tasted good and very sinful (probably with all the oil it absorbed). 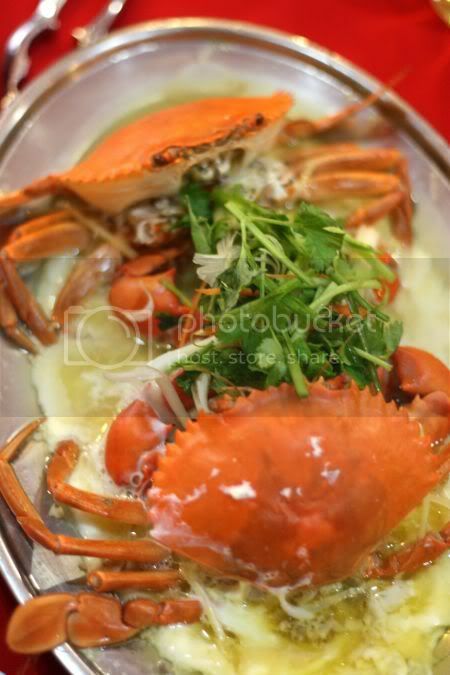 Last but not least, was a plate of 2 crabs steamed with egg white. I especially loved drinking up the soft egg white infused with the juices from the crabs - a very delicate but sweet taste. Even the crabmeat here seemed to be sweet and nicer than the bigger varieties we usually get in Kuala Lumpur. Completely satisified, we continued our journey on with full tummies to Penang and vowed to return for more freshwater prawns. By the way, before coming here, Lots of Cravings and Black Tie White Lie had no idea this place existed....now I reckon they know better. 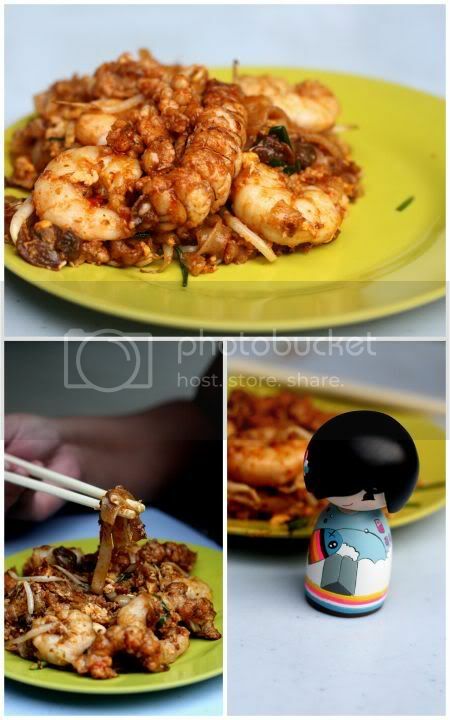 The ultimate char kway teow or not??? 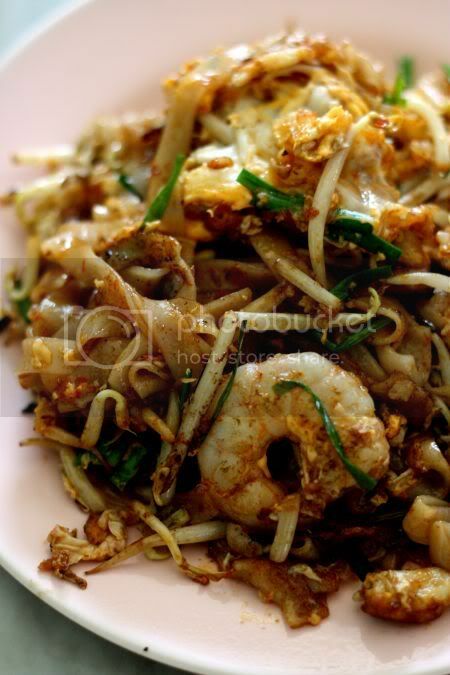 No visit to Penang is complete unless you have eaten loads of char kway teow - charred rice noodles, fried to perfection with loads of Chinese chives (ku chai), bean sprouts, eggs and prawns. Just before we bid the island goodbye, we managed to squeeze some time to sample this infamous char kway teow - labelled as the ultimate luxe version with mantis prawns, large prawns and the creamy duck egg. Costing RM9.50 per plate with duck egg, expectations were a little high probably due to the price and sadly it felt short. While the plate was laden with goodies to make a crustacean lover fall to their knees, the noodles seem to lack the requisite "wok hei" - that breath of wok and charred goodness we love in our char kway teow. 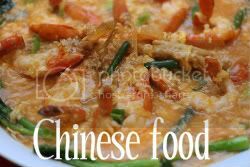 As the tables and chairs were placed far away from the stall, it was a little hard to spy on how they did their frying but maybe the addition of the mantis prawns and prawns into the noodles, just gave out too much juices that made it a "wetter" plate of noodles. One unique thing we notice about this stall, they seem to like to place the fried noodles on one side of the plate. This we reckon is for the server to hold the plate on one side without contaminating the food with his greasy fingers. Ssssssshhhhhhhhhh......here's a secret hideaway somewhere up North. Prior to going this place, we took an oath of secrecy among all of us, to protect this place from others. Tucked near a river, this small Chinese restaurant seems to cater to a special clientele who know how to call them up and book the best and freshest ever large prawns. Everything here is super fresh, arriving in plastic bags straight from the river where you can see Malay youths fishing for the prawns. Literally eating them straight from the river, the prawns are juicy and bouncy brimming with goodness. Unlike other places that steam it, they do it a little differently here - coated in a thick curry sauce that you mop up with old fashioned Benggali bread. 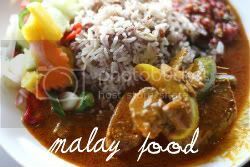 The curry is not too pungent, slightly spicy but so delish that you will end up wiping the plate clean with the steamed bread. I also loved the steamed fish here, topped with a bean sauce that was not too salty. Even though we ate enough prawns to wipe out the a tiny chunk of their population and probably increase our cholestrol levels by tenfolds, I reckon we won't hesitate to this again and again. Hopefully, we'll meet again....my dear prawns! For more prawni-ness, see the Flickr set for the high cholestrol trail of no return. 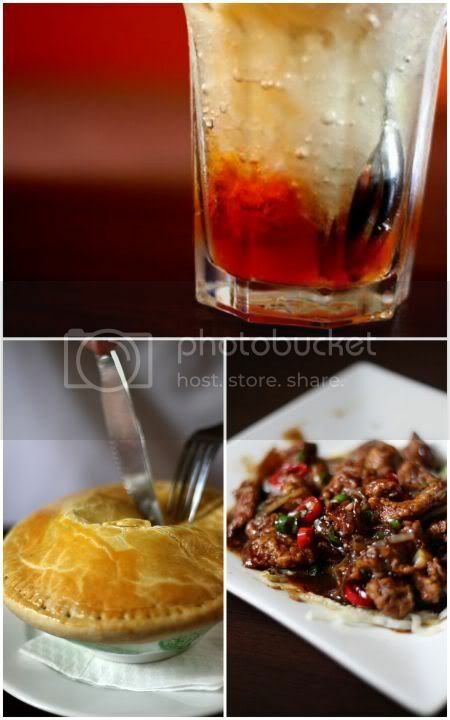 In Penang, after a hefty meal, you will find room in the tummy for their delectable goodies and refreshing drinks. Usually found at the roadside, you buy them on the go and eat them in the car, like this apom balik stall along Jalan Burma. Run by this friendly fella (seems his brother also runs a similar stall nearby and they have never spoken since due to a family feud), the pancakes here are so incredibly good, one is never enough. Made from rice flour, corn flour grated coconut, coconut milk, sugar and eggs, they're so soft and fluffy that you will finish them in a second. 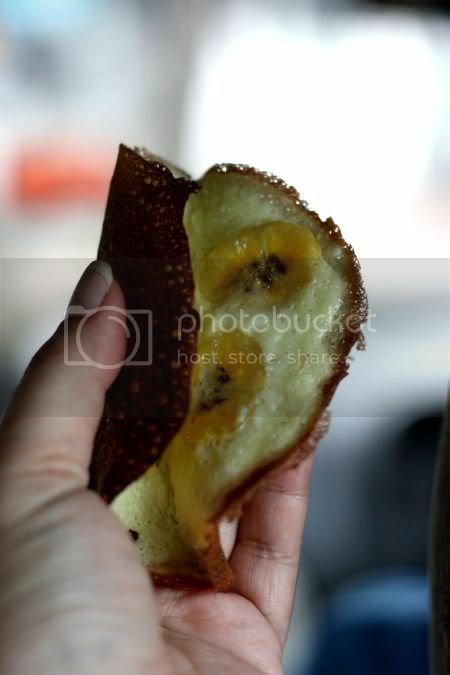 I especially love the soft and aromatic sliced bananas and crunchy corn bits found within the pancake. don't mess with me ok?? Even though Penang is not as hot compared to Kuala Lumpur since it is surrounded by water, you can still feel the heat especially when we were driving around in the afternoon. The best part of this trip we had a guide in the form of a Le Cordon Bleu master chef, hence we got to know the nooks and crannies of the island with his help like this simple unassuming place. Located opposite a car workshop and at a side lane, you wouldn't dream of looking for is this coconut trading place. Not hard to spot once you are on this lane (just see the mounds of coconuts in the shop! 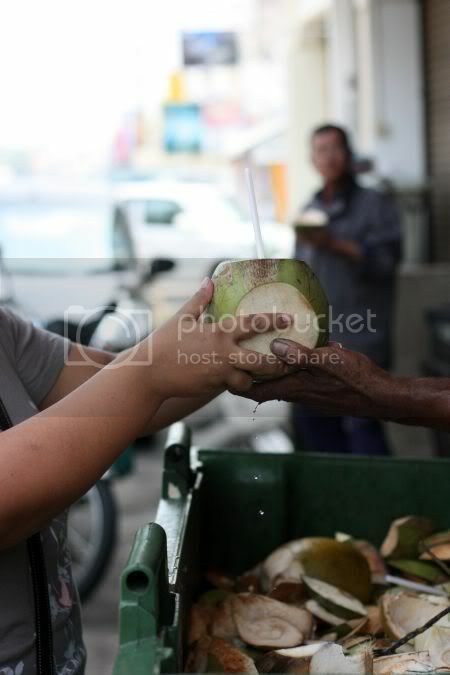 ), they sell this particular variety known as pandan coconut that yields sweet water completely au naturel. 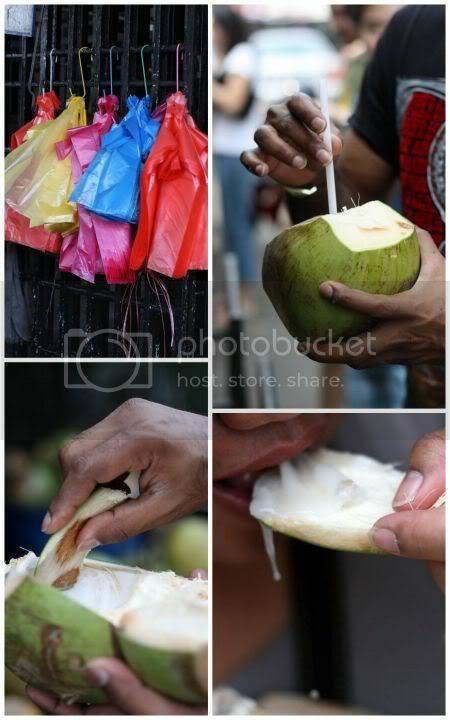 As and when you order your drink, the "parang-maestro" who carries this sharp parang will prep up the coconut to chop the top and stick a straw inside it for you to drink. 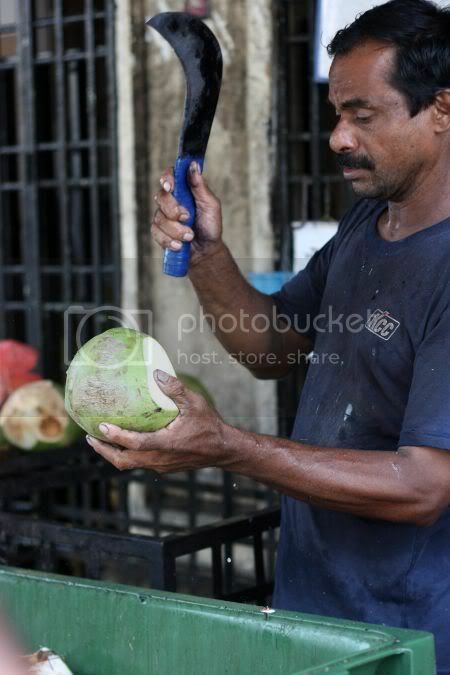 His cutting skills is amazing, as within a few seconds, your coconut is ready. Once you finish, how do you get to the young and sweet coconut flesh? Hand it back to him and he'll chop it into two. They don't use spoons here, instead they'll chop you a small sliver of the coconut on the side that allows you to scoop out the flesh. Somehow, eating off a "coconut husk" spoon makes it a little special and of course, super eco-friendly. Once we finish, time to make a beeline to the ever busy and popular Padang Brown stalls. Located just next to the tennis court (Penang seems to love that sport as I saw quite a few courts around town), you hear the sound of balls being whacked around just before you enter this food court. There's two areas of stalls around Padang Brown (both also sell popiah but different versions), one here and the other nearer to the Esso Station. Packed with people, it can get a little hard to find a seat among the old style metal chairs and tables. Here you get all kinds of food - lok lok, char kuey teow, pasembor, coconut water and what we came for, the famous seafood popiah. 1. 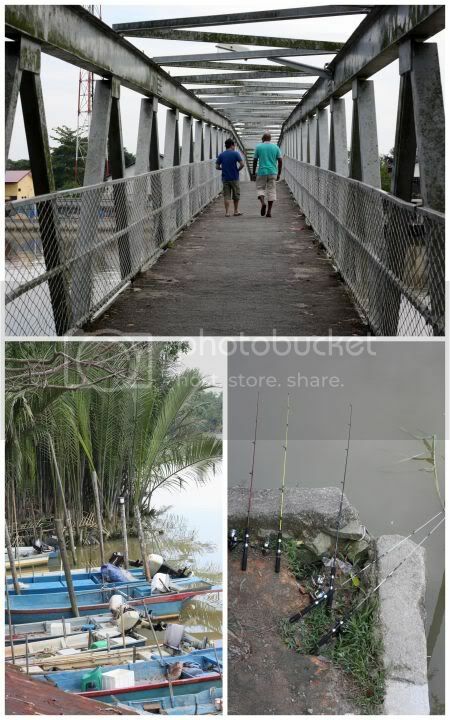 One is never enough, 2. uncle in full concentration while cutting, 3. wrapping those parcels, 4. metal chairs we never see in KL anymore. Definitely the busiest stall around, you will find a crowd of people standing in front of the stall waiting for their popiah to be packed back. 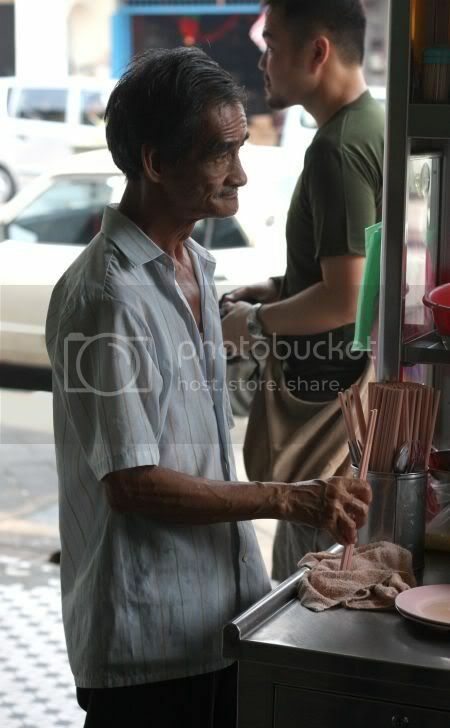 Run by Ong Leng Hin, you find him behind the stall wrapping the popiahs. Each popiah is placed on the plate, which he generously fills with shredded yambean, Chinese lettuce, chopped taukua and the secret ingredient that makes it unique - fresh crabmeat. 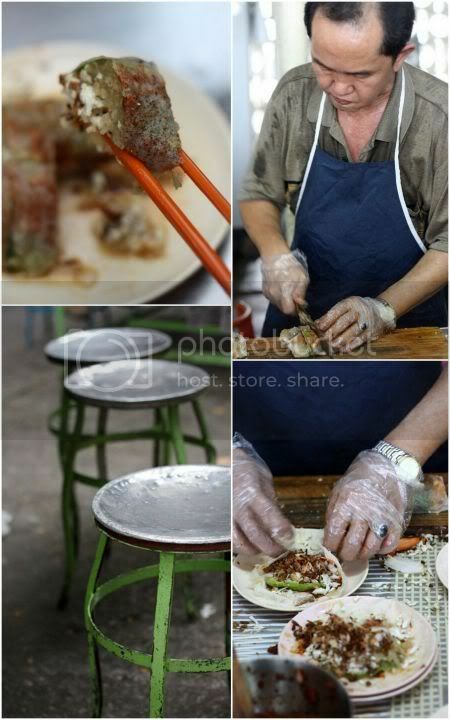 Once filled, he wraps the popiah up and transfers it to a long wooden cutting board to slice them into pieces. It seems if you really want to up your popiah to the ultimate seafood version, you can also ask him to add extra mantis prawn meat inside. 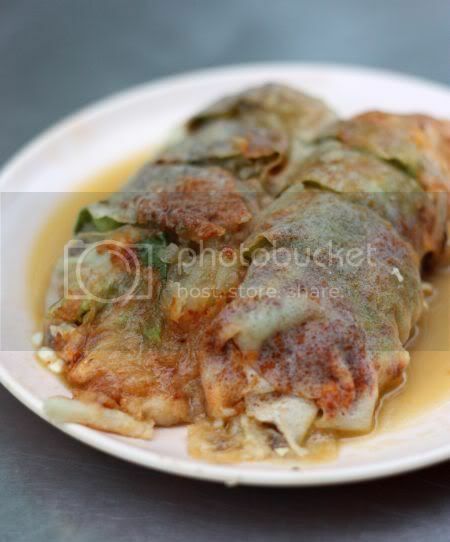 The popiah is a little watery but delicious with the juicy filling and sweet crabmeat within. However be prepared to wait, as the queue can be terribly long. 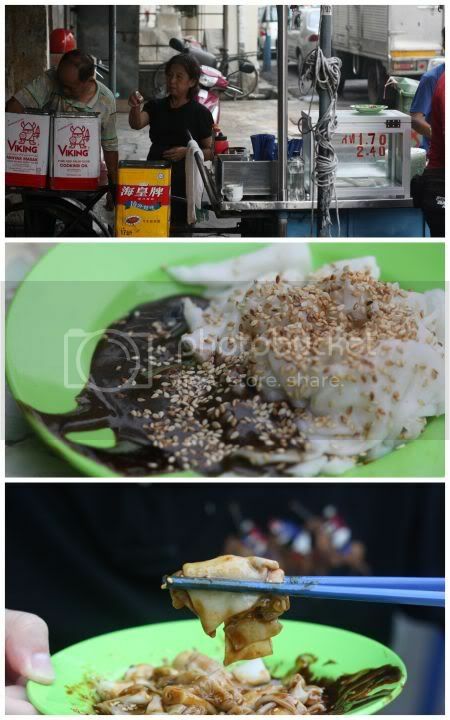 We also order the pasembur from the stall next to the popiah man while waiting. A kind of salad - this one was filled with shredded cucumbers, turnip, prawn fritters, beancurd, beansprouts drizzled over with a sweet but slightly spicy orange sauce. 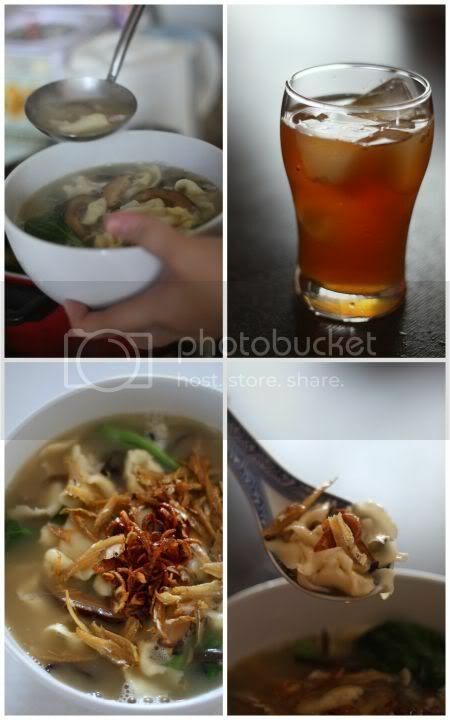 Mix it up just like yee sang and this can fill the tummy while waiting for the popiah. Last but not least was a stall I have very fond memories along Tanjung Bungah that sells fried snacks - goreng pisang and the sweet potato, yam and gooey kuih bakul. Long ago when I did a trip with family, we'll eat everywhere in town but in the afternoons, we'll drive back to the hotel for a swim (need to workout all that calories consumed) and drop by this stall for a delicious afternoon snack. Somehow it always tasted nicer, especially when we ate it right next to the swimming pool. This time round, we didn't get any of their goreng pisang but was well satisfied with the fried sweet potato, yam and kuih bakul (very gooey and sticky) instead. For more pictures on the snacks, see my Flickr set. Open: 12 noon to 6pm. 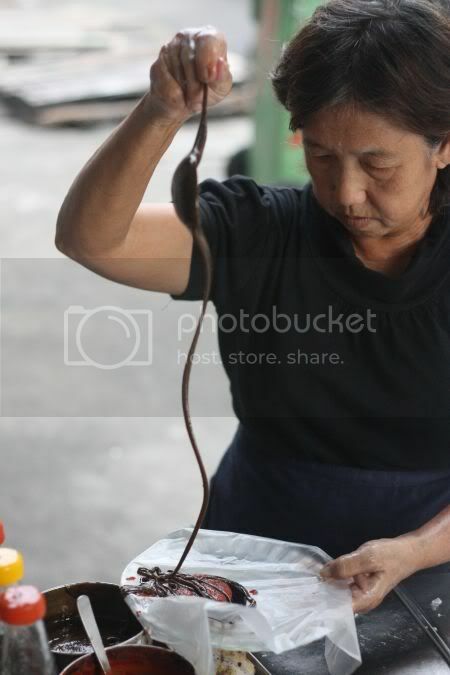 snake or just ultra thick prawn paste? 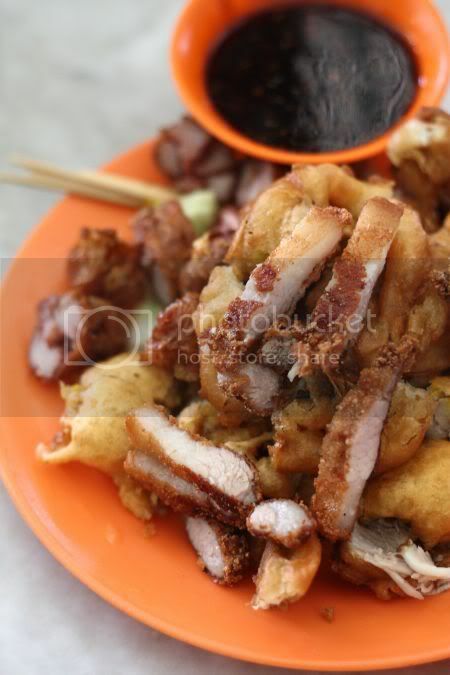 Visiting Penang is always very treacherous.....for the stomach of course! Often whirlwind trips, all you seem to do on the gem of an island is eat, eat, eat and eat more! Last weekend, we definitely did justice to that, as we basically ate our way around the island - Pulau Tikus, Macallister Lane, Carnarvon Street, Chulia Street, Tanjung Bungah and the list goes on. High on the must-eat list was the prawn paste chee cheong fun unique to this part of the world, by request of Lyrical Lemongrass who "hearts" this item. Our pursuit for the best led us to Pulau Tikus - trying the night market (it was our first stop when we arrived in Penang island, even before we checked in our hotel!!) and the morning corner coffeeshops. Somehow these didn't hit the mark and luckily, we had a certain teeny weeny Penang birdie who led us to the infamous Macallister Lane pushcart. Run by Lee Fook Loon since 1955, this place is a classic (other friends also referred me to this place saying it is a must-eat when they return to Penang their hometown). 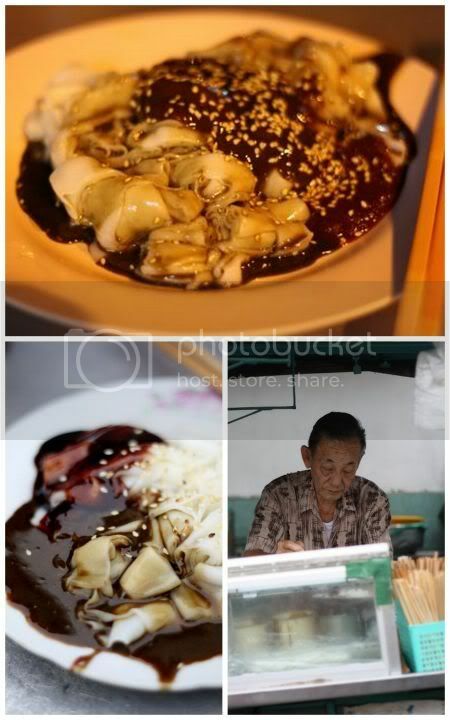 Their pushcart is located just in front of the stall, so just sit down at the shop, order your coffee and wait for your chee cheong fun. While waiting also get a plate of char kuih kark from the pushcart nearby - silky smooth carrot cakes fried to perfection. It is fascinating to watch how much work goes into one plate of chee cheong fun and how the family has gotten their processes down pat to counter the busy demand. 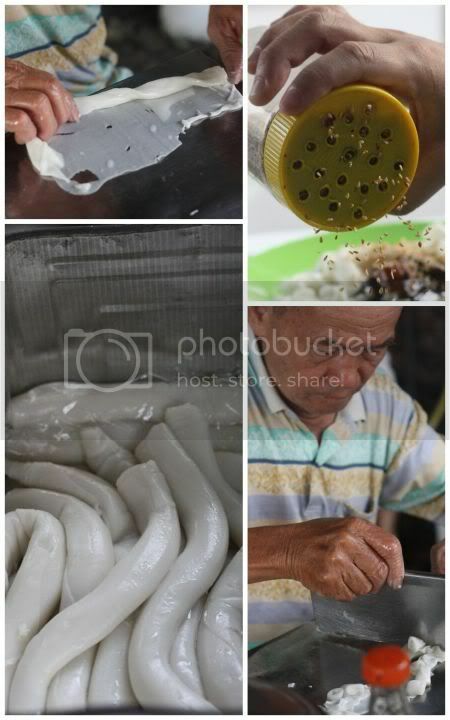 Long rolls of chee cheong fun are placed in recycled oil cans resembling white snakes. The old uncle will sprinkle a little oil and slowly unroll these rice flour rolls to prevent them breaking on a stainless steel board. 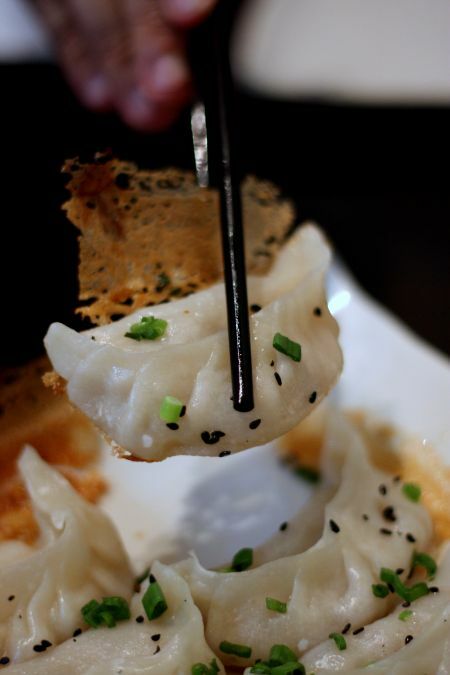 Once unrolled, he chops them into thick pieces and places them in a small stainless steel bowl. This is then transferred to the middle part of the cart where it is covered. I suspect that keeps it warm. While uncle is preparing the rolls, his wife is whipping up her concoction of sauces - a dash of sweet sauce and a drizzle of the ultra thick prawn paste sauce. She works fast and like an artist, drizzling it from above rather than plonking it on the plate. It seems they make their own sauces while the chee cheong fun is supplied to them. 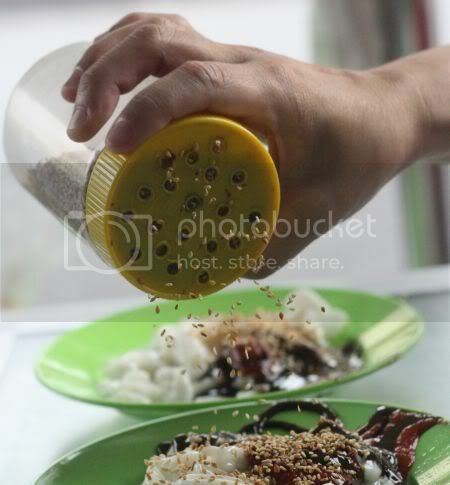 Once that concoction is done, the cut up chee cheong fun is placed on top, given a generous sprinkle of sesame seeds and sent over. 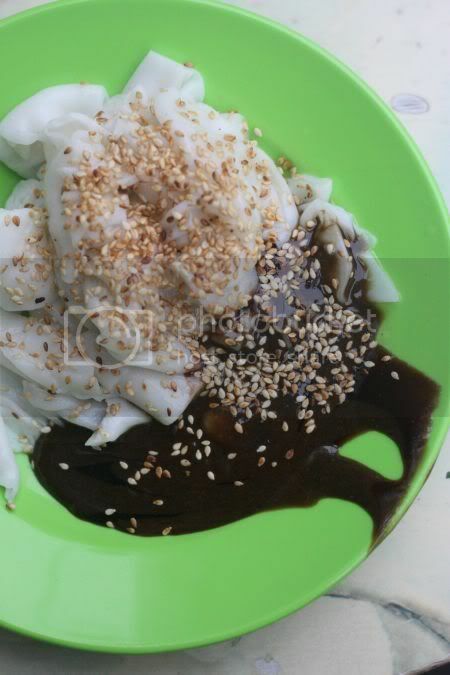 What makes the difference here is the texture of the chee cheong fun - silky smooth and almost melt in the mouth. 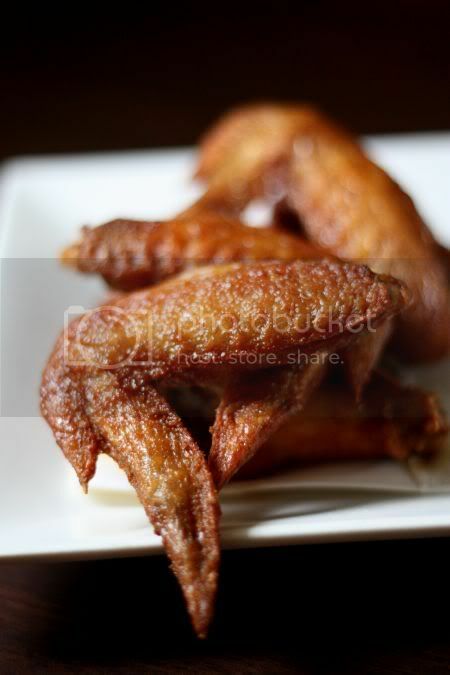 Moreover the sauce is tasty and a little sweet, making it addictive. Not the best thing to eat with a white shirt but who cares for a few brown splatters, especially if you're eating such sublime stuff that the lady has perfected for almost 50 years. For more pictures, see my Flickr set. All hail the Queen of Crabs! Sniff!!!! Today marks the day, Precious Pea will be flying Down Under to start a new life. While it is an exciting opportunity for her and the whole family, I know we will miss her tremendously. Even though Melbourne is accessible (especially with Air Asia's cheap fares), it feels so far away. 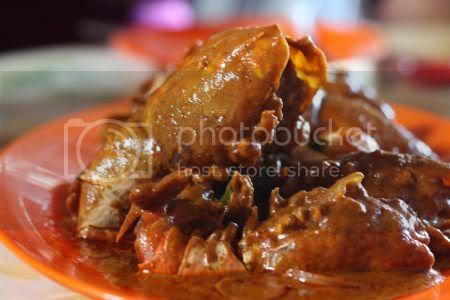 I'll be losing my "makan kaki" who used to take me to faraway places for great dining experiences. My crab partner - she's the one I usually call whenever I am hit with a need for some crustaceans. We can sit together for a long time just slowly enjoying our crabs while chatting away (Poor Paul who has to wait for us!). 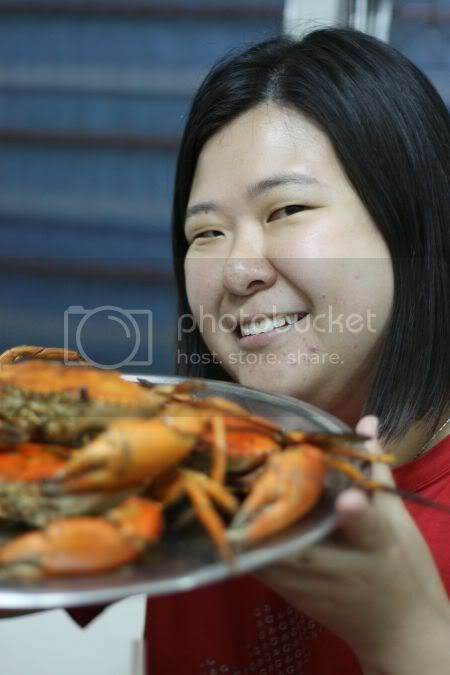 Nicknamed, the Queen of Crabs, she's a bona fide expert on the crawly fellas having cooked them at home and enjoyed quite a few in numerous seafood restaurants. 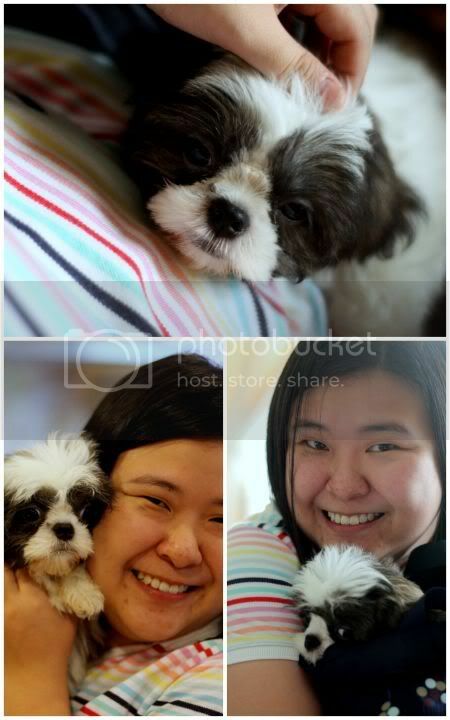 Then there's her love for furry four-legged poochies especially her two boys - Pea and Pumpkin. She can never resist a waggy tail especially the cutie Kikko, which belongs to Pure Glutton. The adorable ball of fluff was lavished so much attention and love, she fell asleep on Precious Pea's lap. Last but not least, is her cooking skills - definitely the best ever. 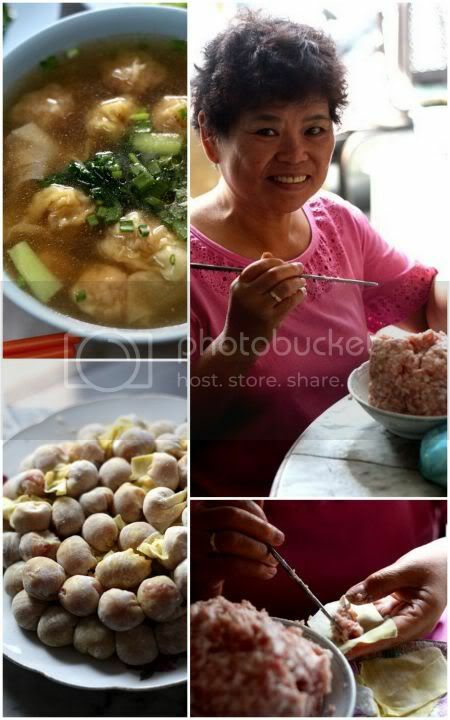 I didn't get to try her infamous roast pork but I was lucky and privileged one day to slurp down a bowl of hand torn pan mee made with her own hands. Yummy till the last drop! She even made me homemade ice lemon tea to quench my thirst. Thumbs up to everything! Bon voyage Precious Pea. Big hugs and kisses! We look forward to reading about your adventures in Australia. Hopefully time will fly by quickly and we get to see you soon. Good luck with all your ventures! We are going to miss you lots. 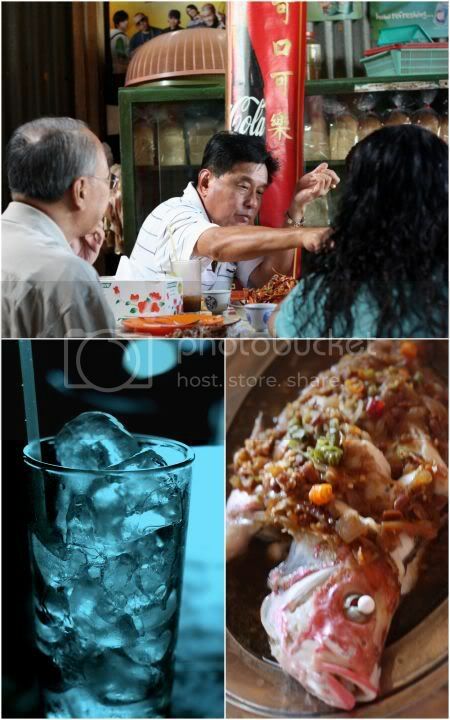 *crabs were from a farewell dinner for Precious Pea at Hing Ket Grill House - another great find by Precious Pea. Click this link to read her review on it. Last weekend, we had to sort out a "kitten crisis" - a stray had wandered in to the neighbour's house hence we rescued it, sent it over to the kind people in Taman Tun Dr Ismail to treat its flu symptoms and hopefully get it adopted. An adorable ball of fluff - dark with slightly longish hair and a stripey tummy, we are crossing our fingers and toes someone will see how cute it is and give it a loving home. If anyone is interested, email me at boo_liciouskl@yahoo.com This one, I reckon will be a heartbreaker when he grows up. 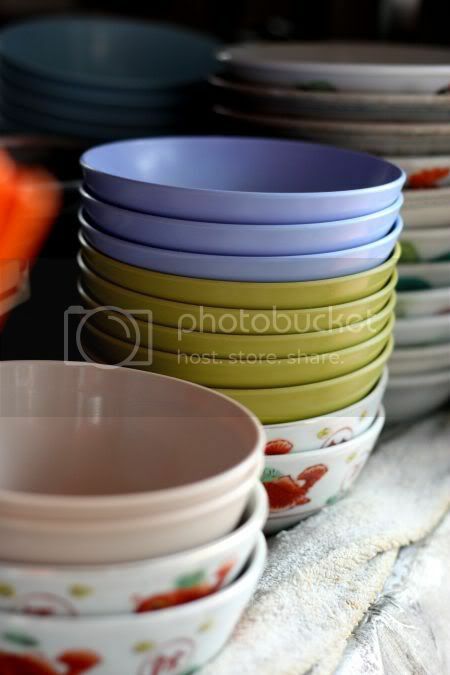 Sorting out little problems like these often make us miss our meals (breakfast and lunch) hence we were cracking our heads what to eat at such an odd hour. Not wanting to fight with the crowds of people in the malls, we settled on an old favourite - Decanter at Damansara Heights, a stone's throw away from the original one (that is next to the Bread Shop). Filled with people having late lunches, tea or just hanging out with friends, this is definitely a neighbourhood hang out as we spied some familiar faces. The original Decanter used to be my regular lunch hangout place for yummy fried noodles and pies run by 2 sisters. However, they sold their interest to Tun Ling Liong Sik's family. After taking over, they opened this outlet just round the corner from the Damansara Heights school and outlets in Section 17 and Desa Sri Hartamas. 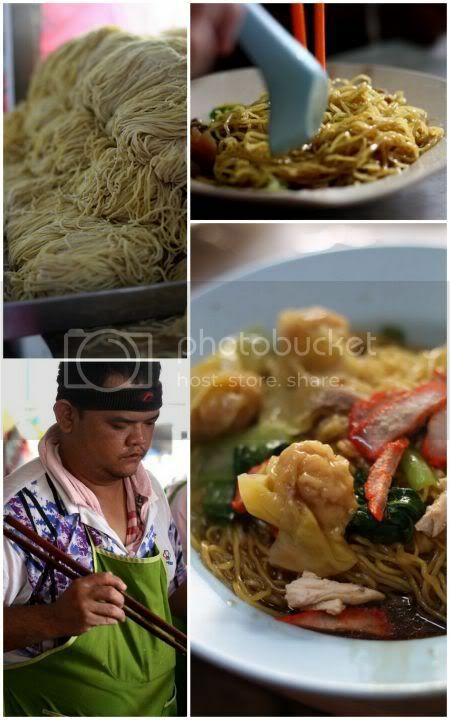 The place serves a mix of Western and local favourites but we usually zoom in on their noodles. While the noodles aren't as fantastic as the old days, it is still pretty decent tasting. Instead of my all-time favourite of fried beehoon, I opted for the Cantonese fried noodles (RM9), that tasted pretty decent although it did lack wok hei. Feeling a little greedy, I also ordered the yummy fried chicken wings (RM7 for 3 pieces) and fried lamb (RM12). I loved the piquant taste of the lamb pieces as it was peppery and fried with loads of chillies and onions. Too bad I didn't have a bowl of white rice, as that would have been fantastic with all that peppery sauce. Splashie Boy can never resist a good pie and Decanter's version is pretty decent with a layer of puff pastry baked in Chinese noodle bowls commonly found in coffeeshops. 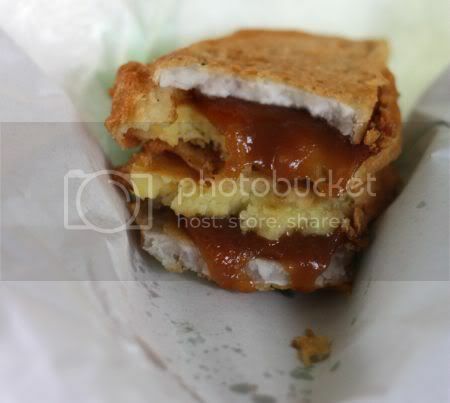 His steak pie (RM10) wasn't chock-filled with meat to fill a hungry man's tummy but decent enough for a small eater. Overall, a decent meal with no parking hassles and efficient service. 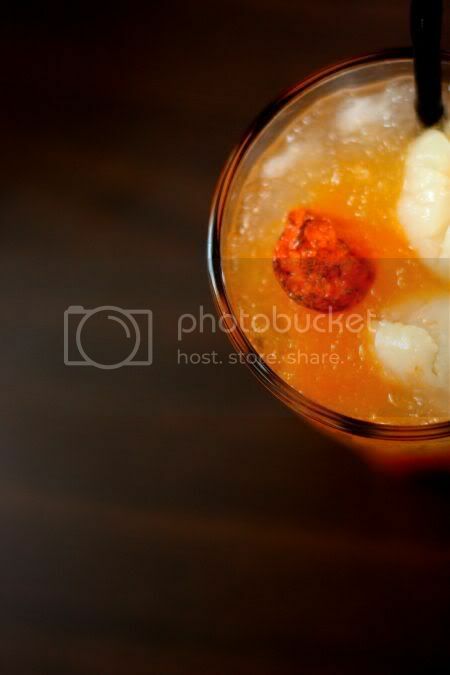 I also discovered a super thirst-quencher - a mix of bright orange assam boi with lychee done in an ice-blended style. Not only did it taste fantastic, it was so pretty with the bright orange colours mixed with the snow white icy cold lychees - perfect for a hot hazy day. Bigger pictures can be found on the Flickr set.